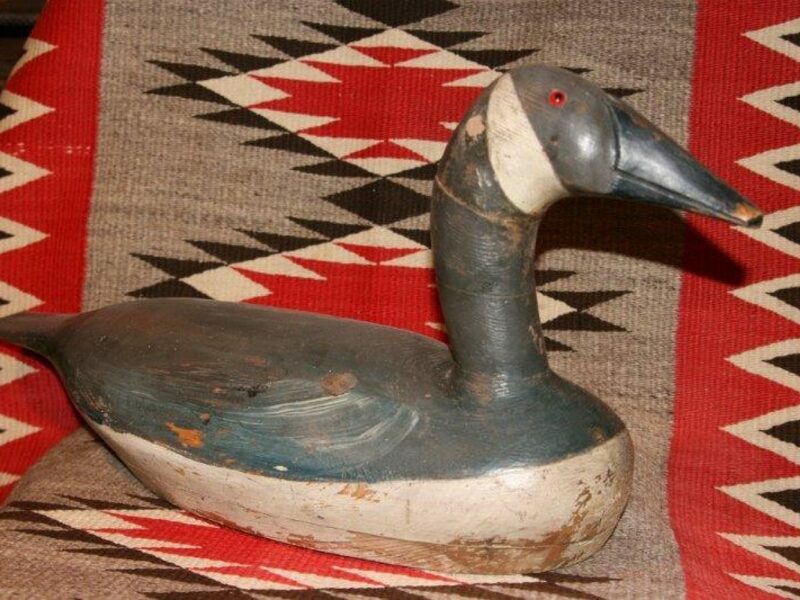 August "Gus" Moak learned his carving skills from his father who brought his family to Wisconsin from Germany in 1853. 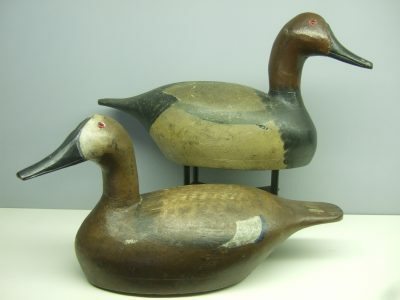 The family made their home in Tustin, which is located on Lake Poygan. 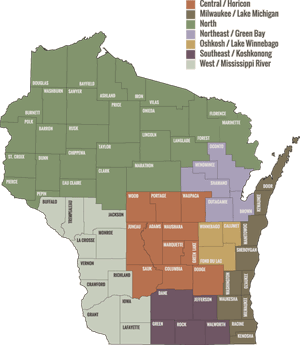 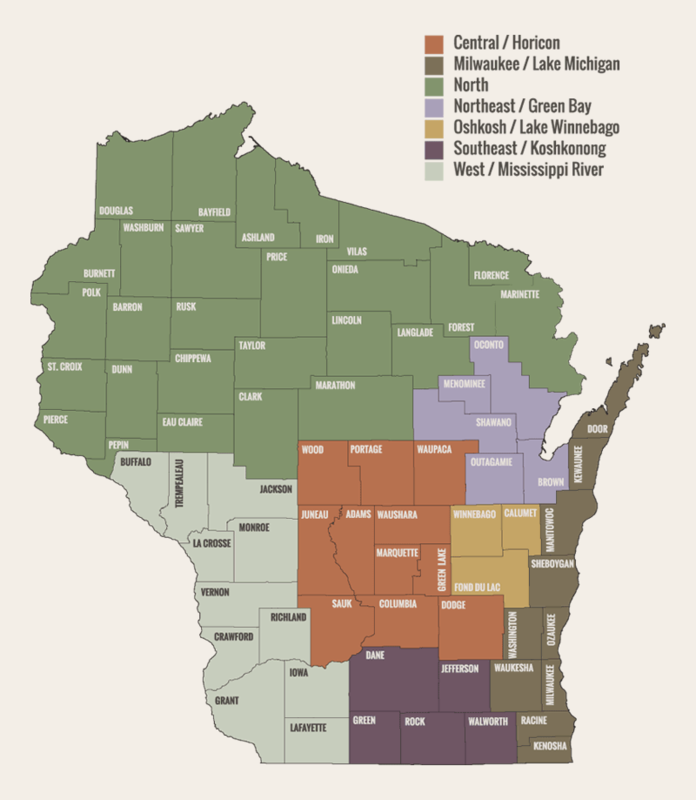 This lake was well known at the time for large wild celery beds that attracted huge flocks of canvasbacks, redheads, bluebills and teal and, of course, many hunters. 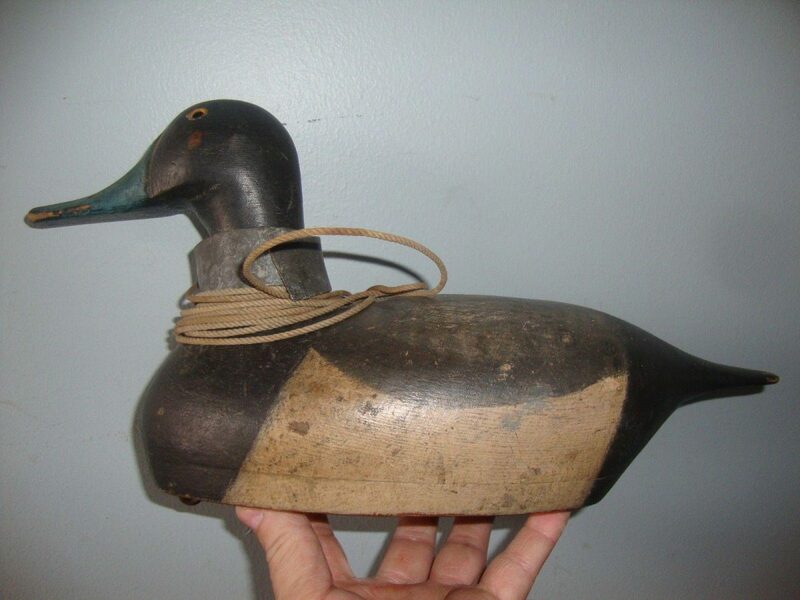 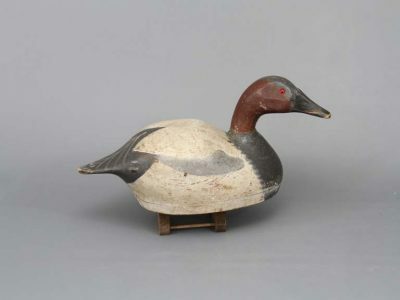 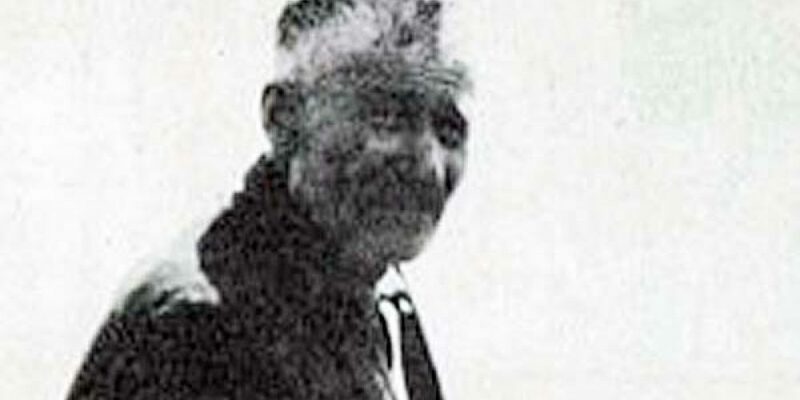 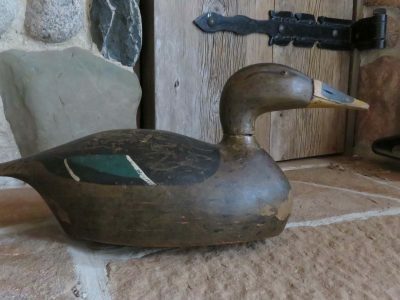 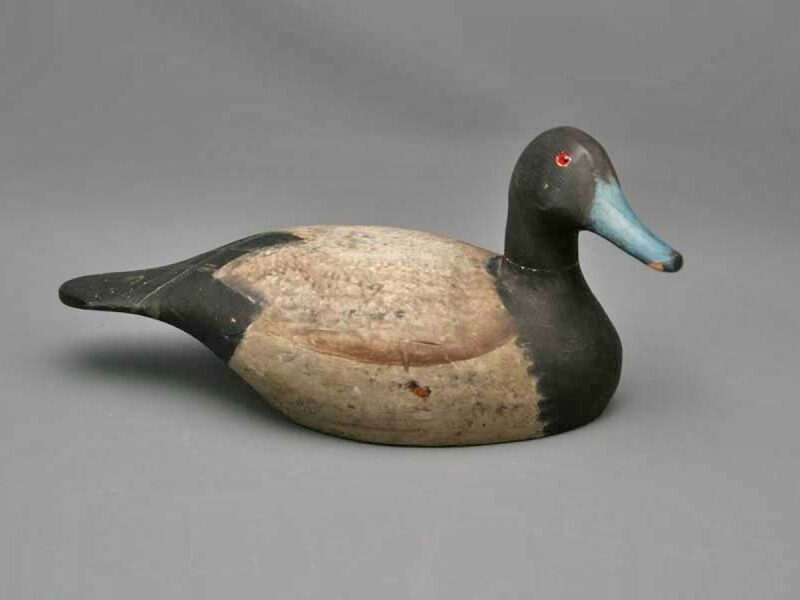 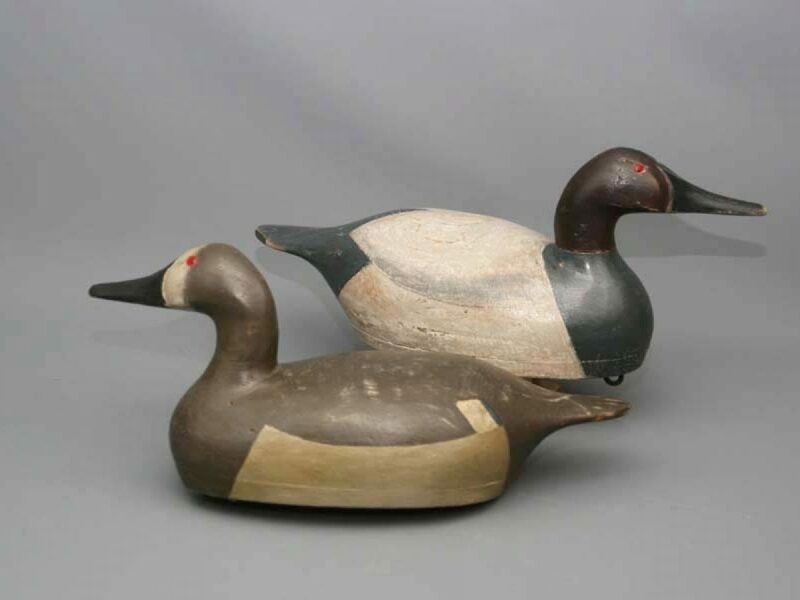 In addition to carving decoys, the elder Moak built boats and marsh ski's for a living. 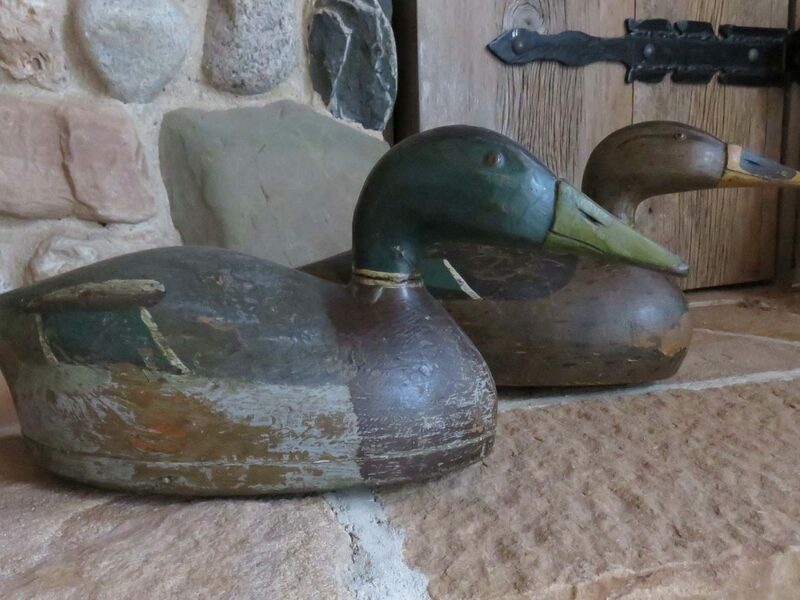 Gus Moak is believed to have started carving around 1870 and continued into the early 1900's. 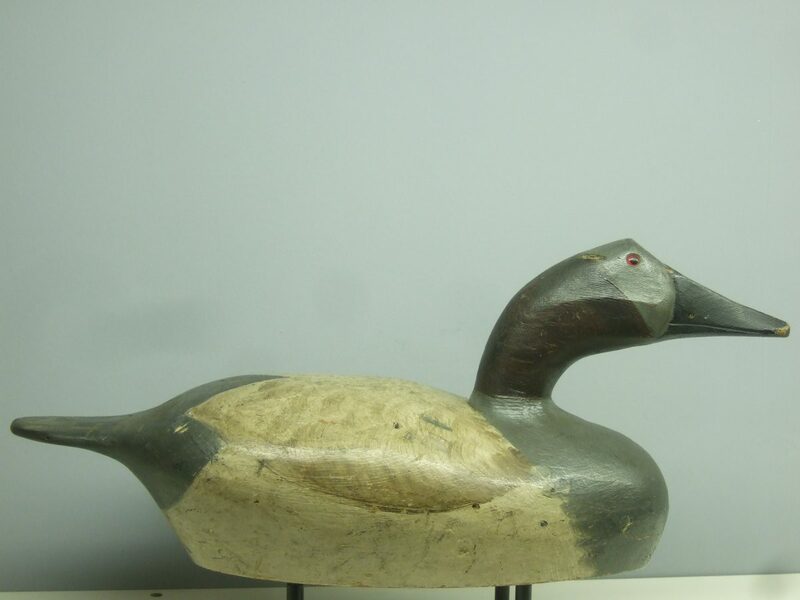 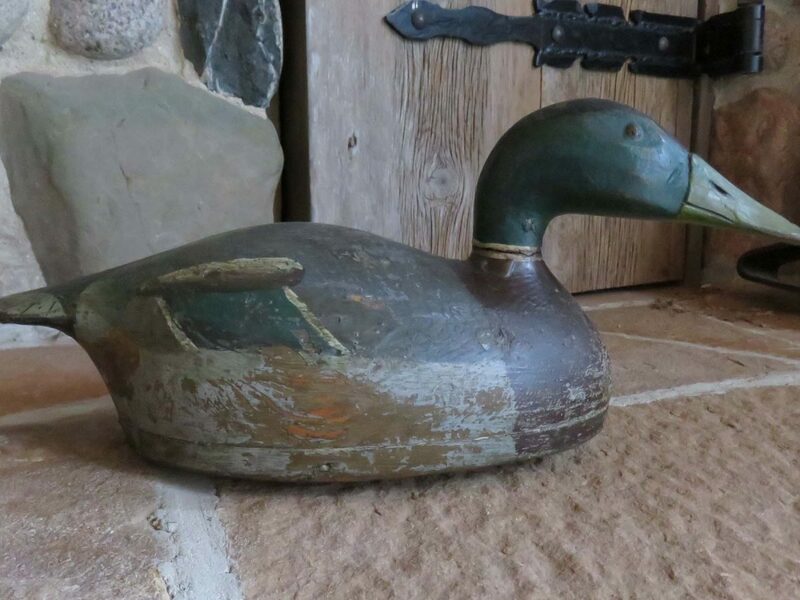 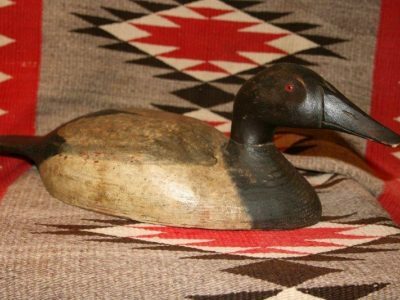 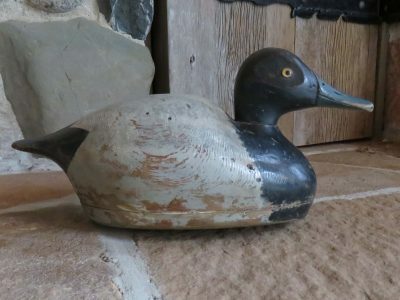 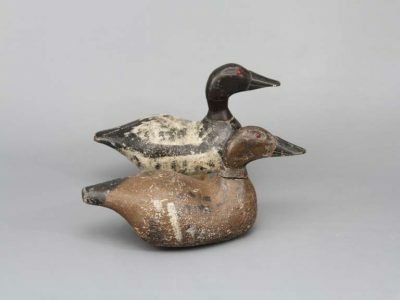 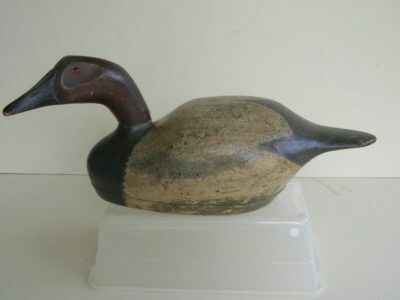 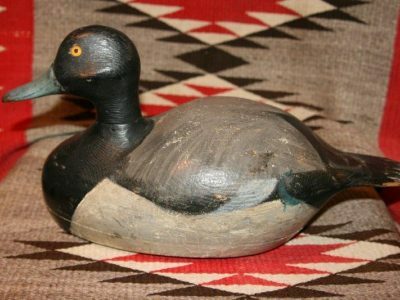 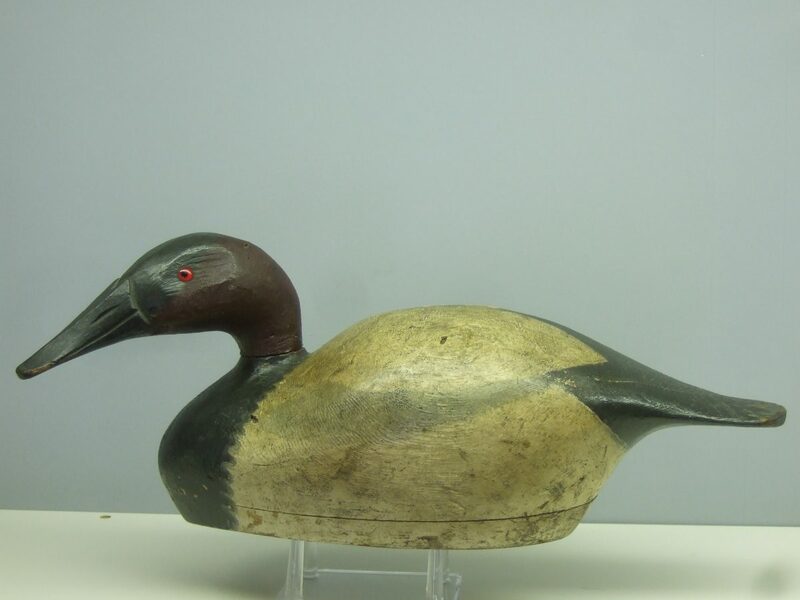 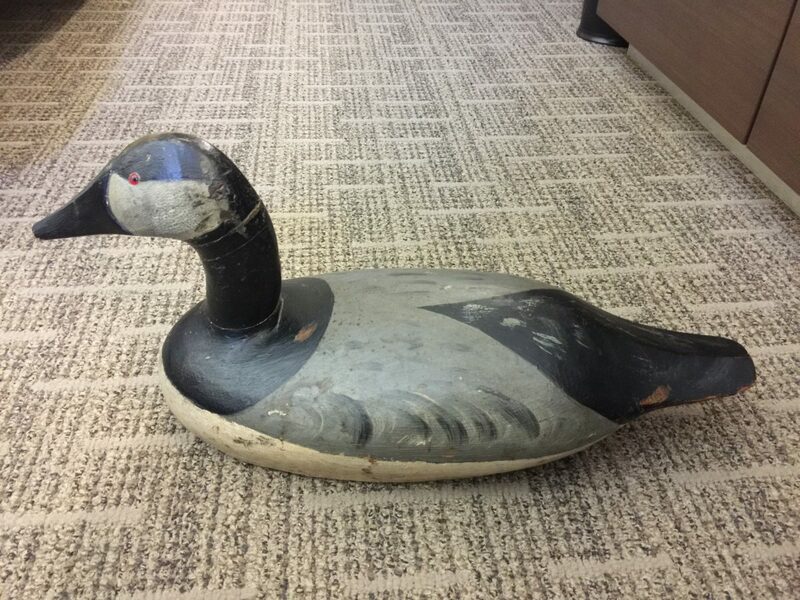 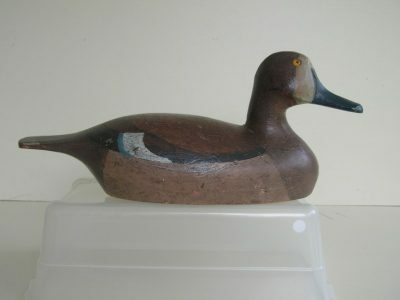 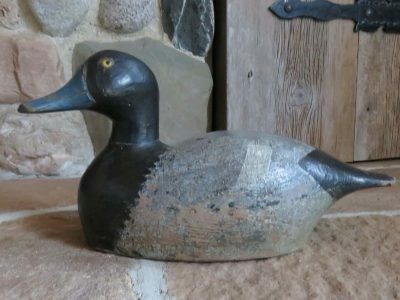 He carved mostly canvasbacks and bluebills, but a few geese have been found by lucky collectors. 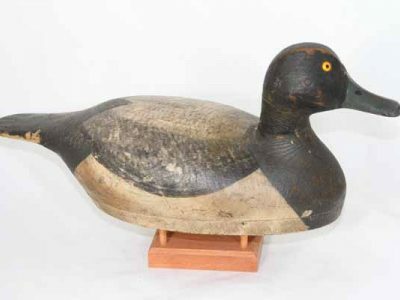 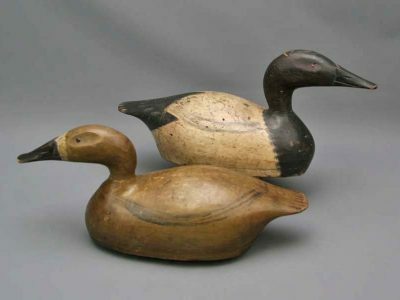 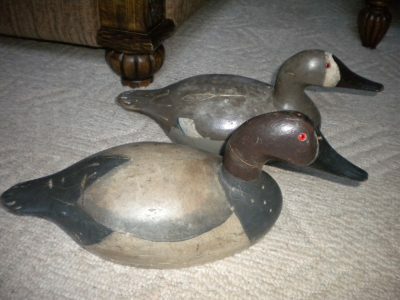 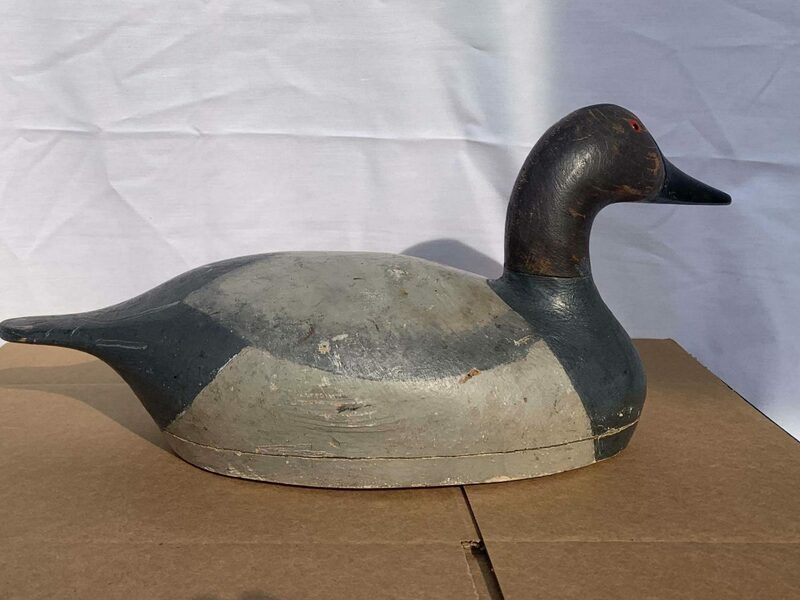 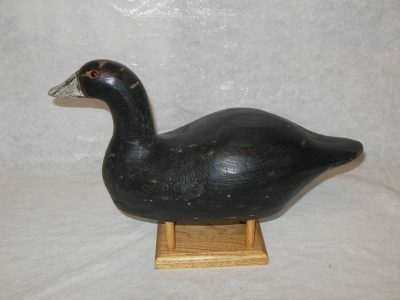 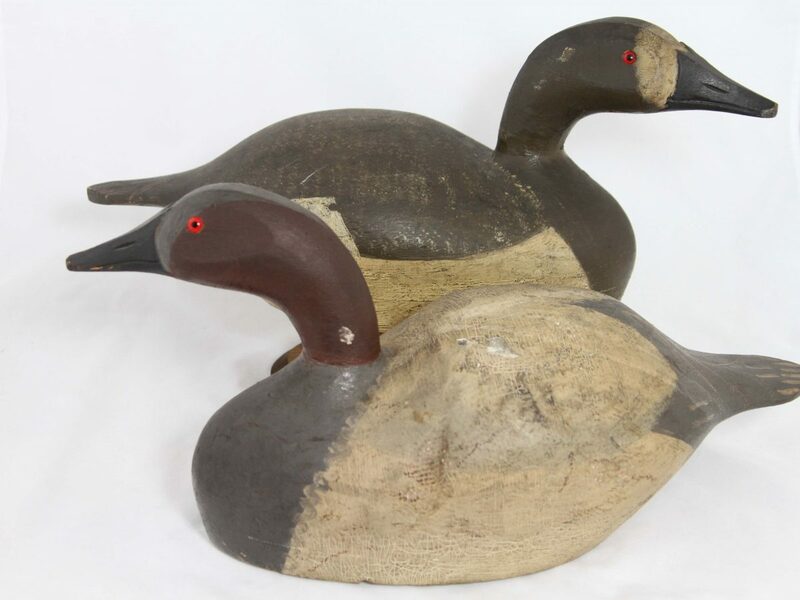 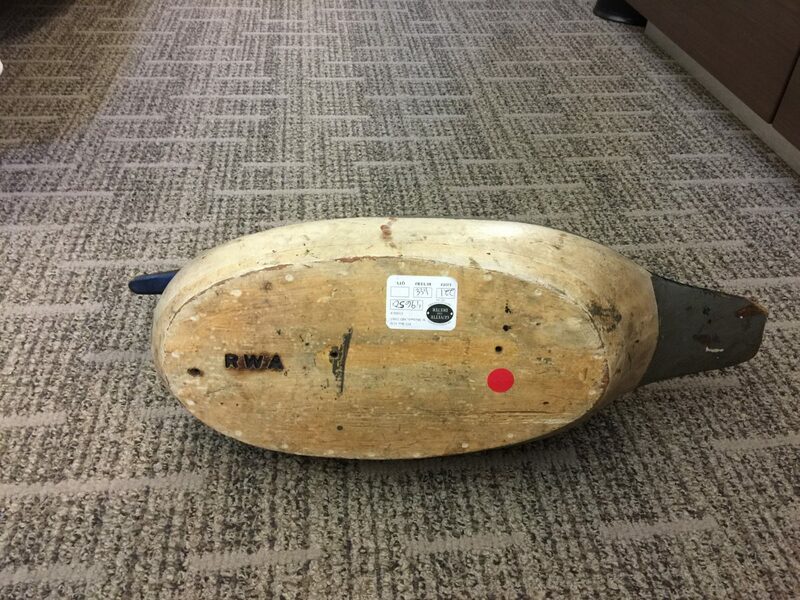 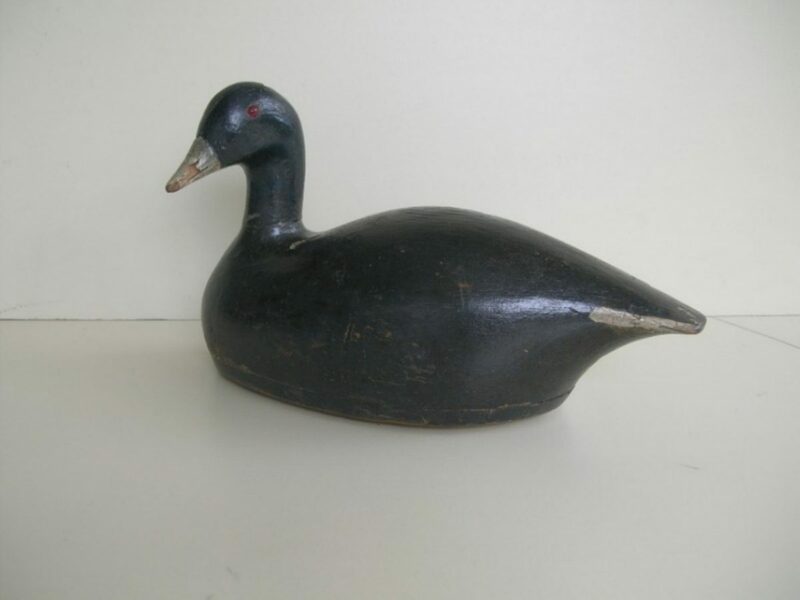 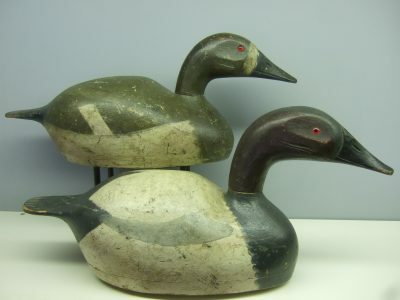 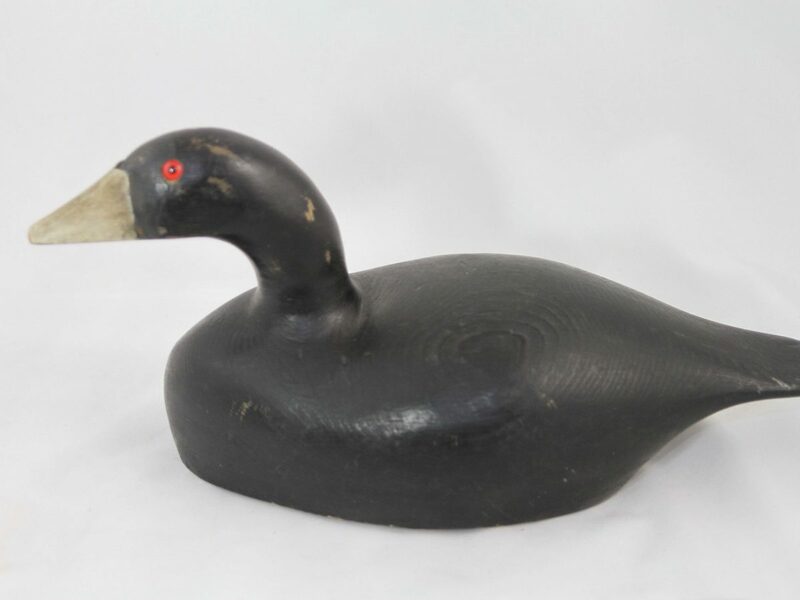 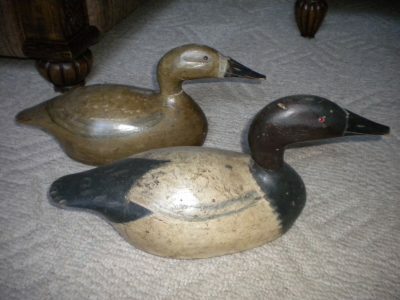 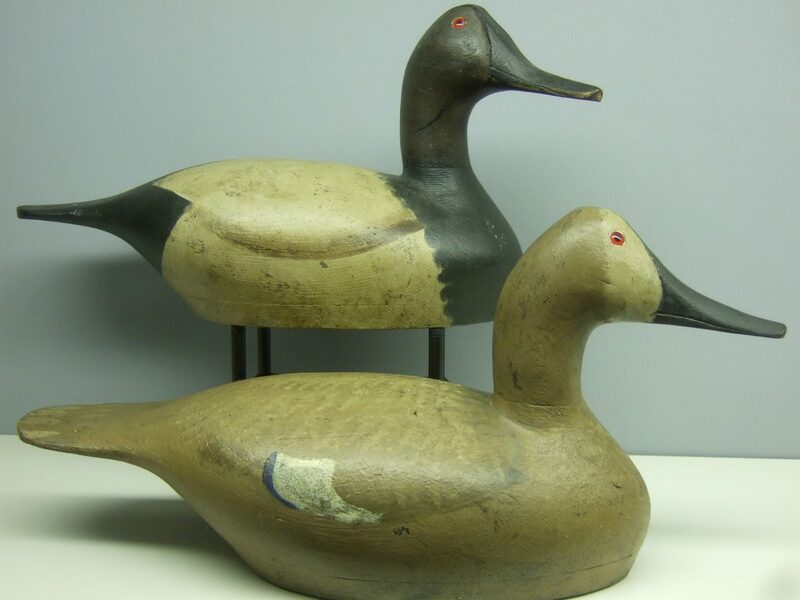 Moaks high quality hollow bodied decoys have held up for over a century for collectors to enjoy.